Town of Dalton Municipal Building. 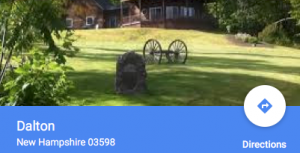 756 Dalton Rd, Dalton, NH. The Town Librarian is Doris Mitton. 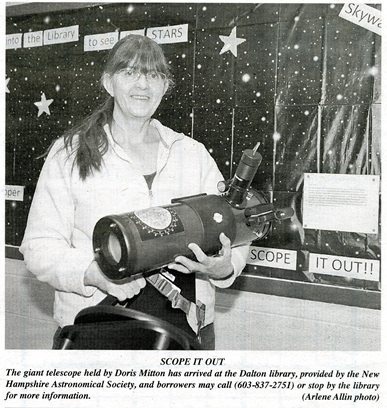 Have you heard about New Hampshire Astronomical Society’s Library Telescope Program? 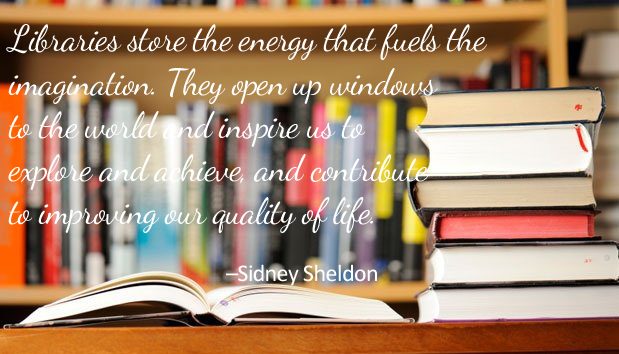 Visit online. Check out the Orion StarBlast 4.5-inch Astronomical Telescope at the Dalton Library. 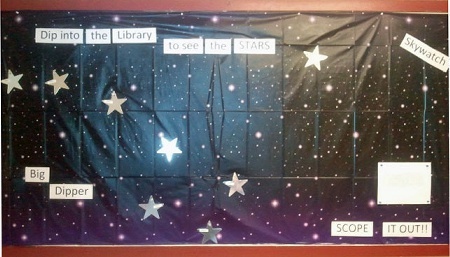 Dip into the Library to see the stars!